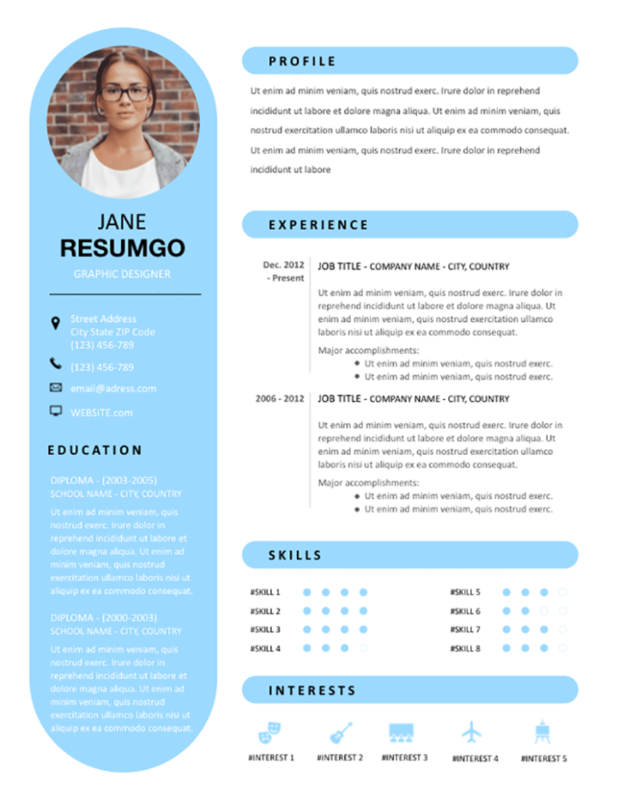 Rhea is a free resume with rounded and light blue rectangles, and with a 2-column structure layout on a white background. The left column uses a full-height rounded rectangle banner. 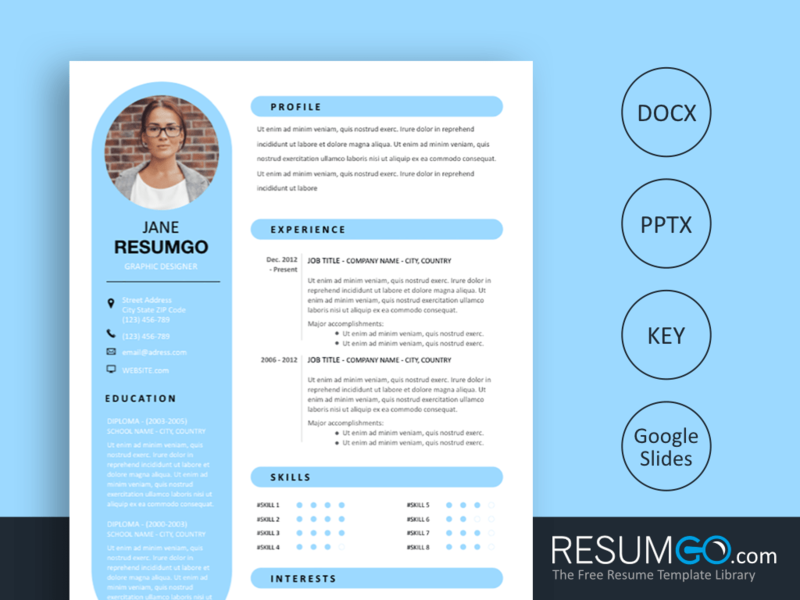 Your circle-shape photo will beautifully illustrate your resume. Your name and title, the personal/contact information and diplomas go there. The right column recalls the light blue banners for each section title. Insert your profile description or objectives, work experience, skills (equalizer-type dot charts) and interests (with blue icons).